Next stop can be your own kitchen instead of Zippy's. From the mid 1800s to early 1900s, people from countries all over the world like Japan, China, the Philippines, Portugal, Korea, Okinawa and Puerto Rico flocked to Hawaiʻi to work in the sugar plantations that made up most of the islands’ industry at the time. These cultures, along with the already present Hawaiian and Caucasian populations, spawned the multicultural and uniquely rich history of islands. 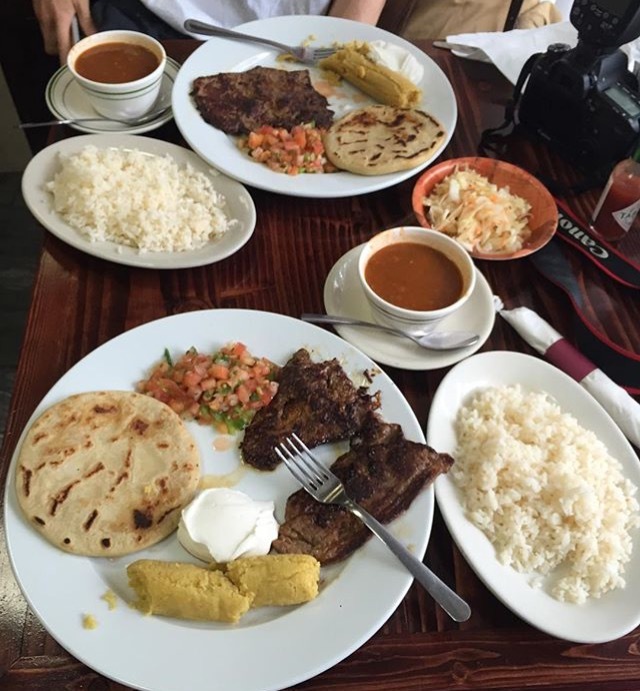 With the weaving of culture came the mixing and sharing of food and flavors. In the present day, it is not common to find anyone who is purely Portuguese, Hawaiian or any other race for that matter. For example, somewhere along the line, my ancestors of different cultures mixed and mingled with each other to create a 3/4 Okinawan, 1/8 Hawaiian and 1/8 Chinese me. In my household, like those all across Hawaiʻi, food has been heavily influenced, cooked and enjoyed by all of the cultures of Hawaiʻi. Other than the rice and noodle dishes, each of these are most delicious and most commonly served with steaming hot white rice. You’ll notice that most of these dishes either involve some type of sauce or gravy, and tend to gravitate towards the sweet and savory combo, a highly addictive combination that goes so perfect with the rice. Never including very many ingredients, each of these dishes still has distinction to carry their own and in no time at all. 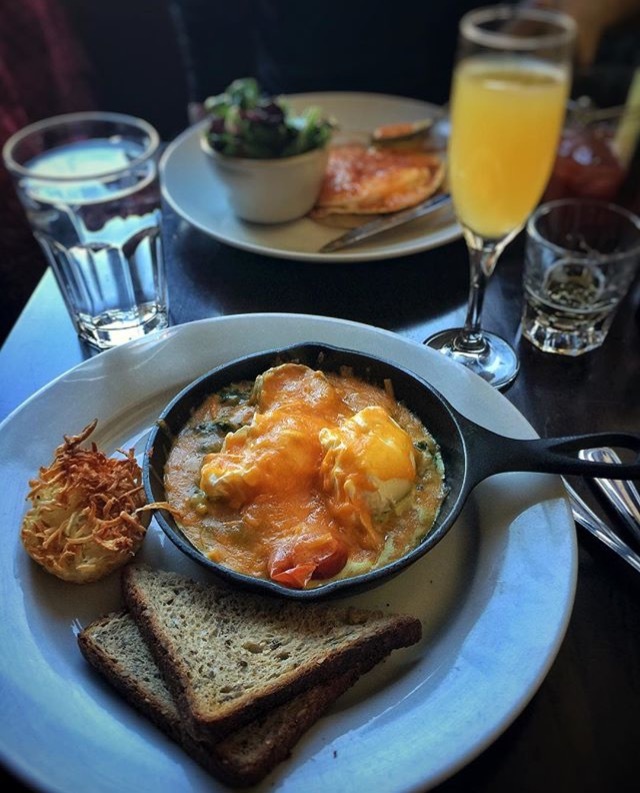 People will be impressed with your arsenal of a variety of different culture’s cuisines. Furikake is a Japanese seasoning that is a salty and super flavorful garnish that you top finished dishes or very commonly, plain white rice with. Furikake comes in all sorts of varieties like nori (seaweed), fish flakes or sesame seeds but with this dish, nori furikake is most commonly used. 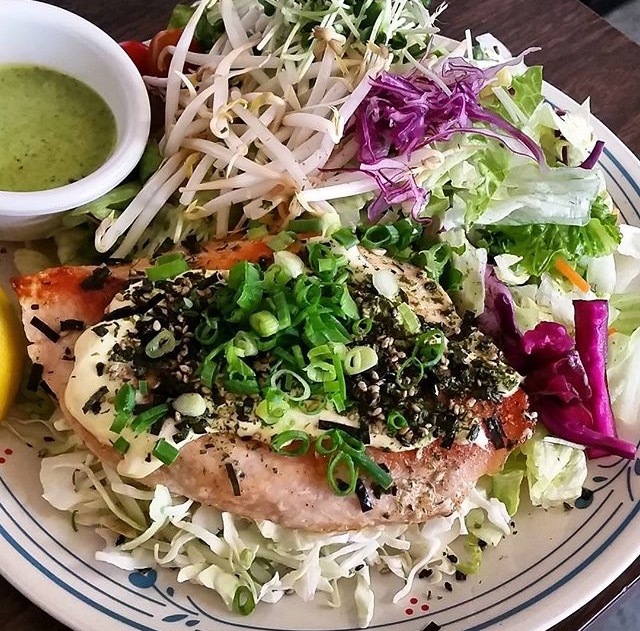 Make this extremely simple dish, only requiring three ingredients, salmon, mayonnaise and furikake or jazz it up and add some spice with this wasabi furikake salmon recipe. 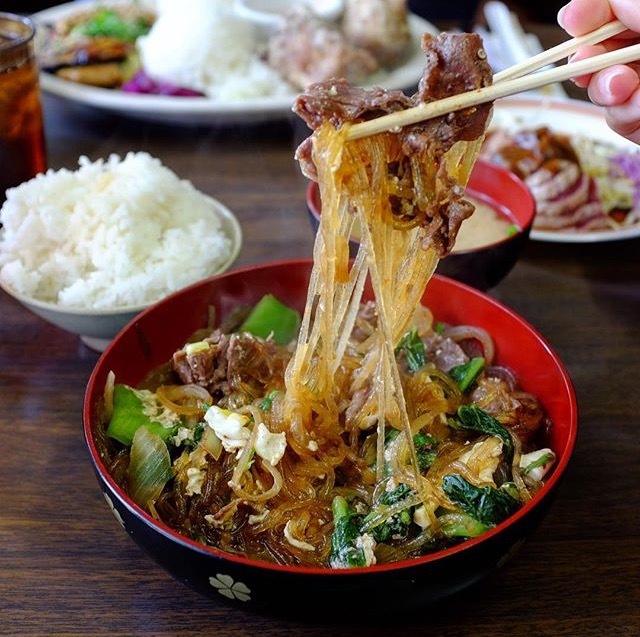 Sukiyaki is a Japanese dish perfect for warming the soul and delighting the tastebuds. Think Japanese hot pot but with an addictive sweet and savory broth. 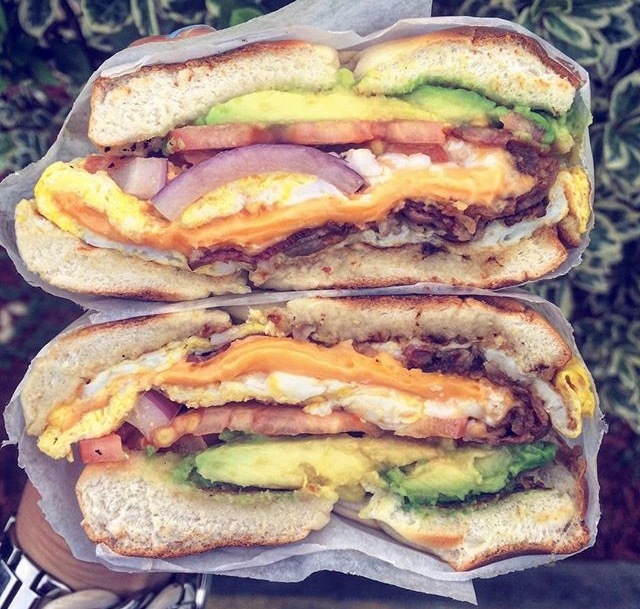 Make it your own by adding your choice of meats and veggies. 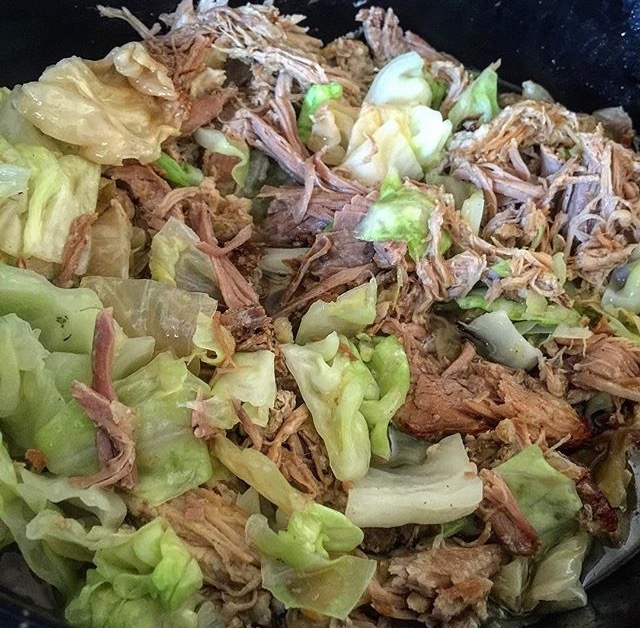 Kalua pig is a Hawaiian dish commonly found at parties and lūʻau, but is so simple to make that it can be thrown together in a slow cooker ahead of time for an easy dinner. Adding cabbage and onion to it not only adds a nice sweetness but also boosts the dish’s nutritional value. You also have to love that adding vegetables will stretch the dish and you can have more servings. Believe me when I say that this is the most flaky, melt-in-your-mouth piece of fish you will ever eat. 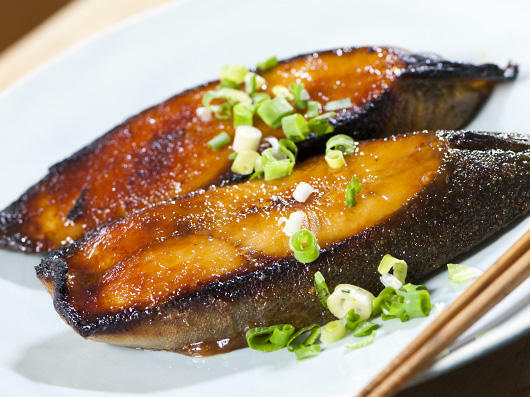 The caramelized miso paired with an already sweet fish creates one hell of a flavor bomb. Those who have had it will agree that eating it is always worth picking out the zillions of tiny fish bones that somehow end up in your mouth. 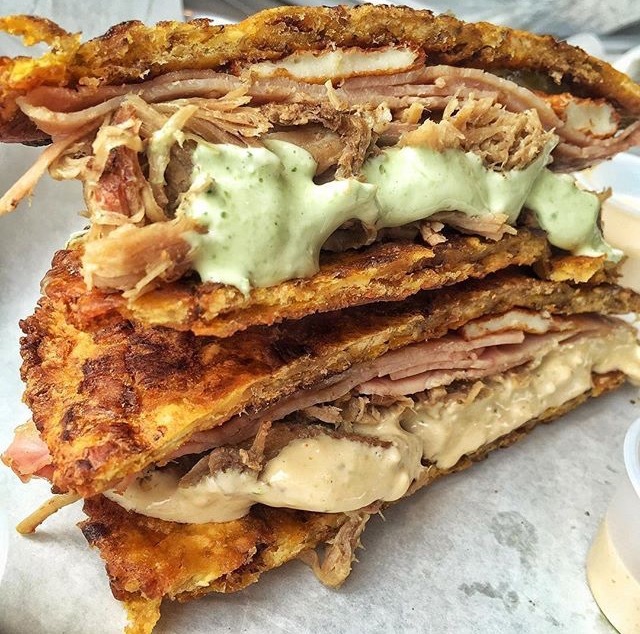 This Puerto Rican dish is similar in appearance to a tamale but with the masa made from green bananas rather than a corn masa and a more tart flavor with the olive component of the filling. It is best eaten with gandule rice but is still so pleasant when eaten with plain white rice too. You just can’t go wrong with boneless fried chicken drenched in a sweet and garlicky sauce. 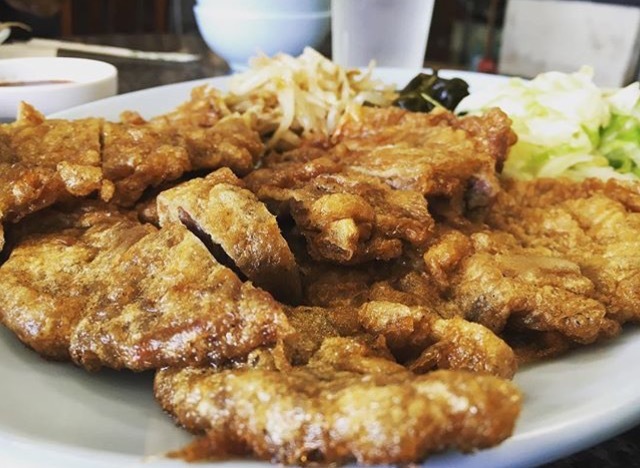 There are several excellent places to get it around Hawaiʻi like Mitsu-Ken and Sugoi, but if you aren’t on island and that garlic chicken craving hits, you can count on this recipe. 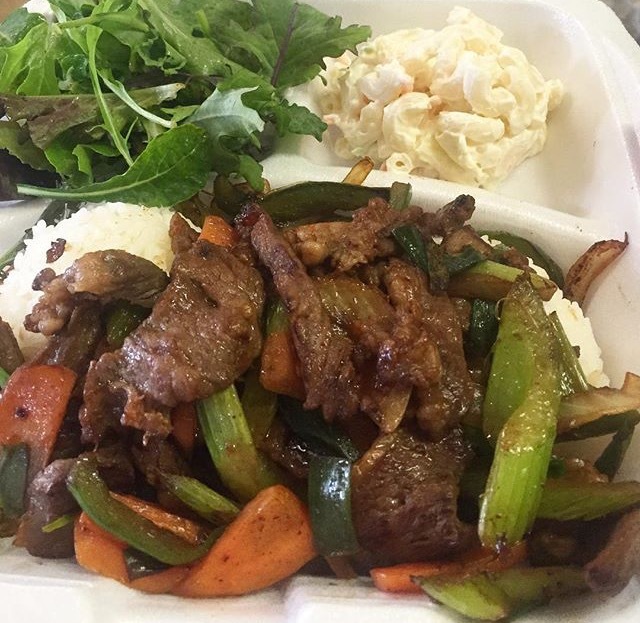 Though not a traditional Korean dish, it is found at Korean barbecue spots all over the island. 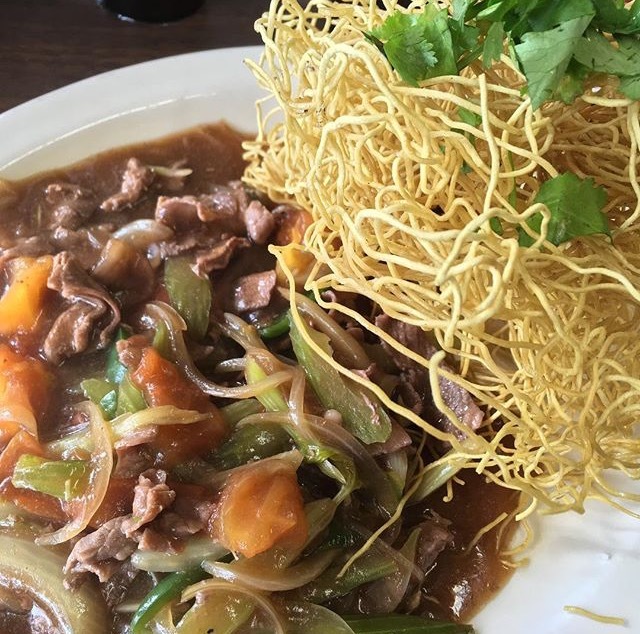 Essentially it is marinated beef in a simple egg and flour batter, pan fried and dipped in a tangy and sweet sauce. Canned corned beef could be a little frightening to some, but combined with potato, green and white onion and fried until crispy, you’ll have a hard time eating just a few. It makes the perfect breakfast for dinner when you throw an egg on it and serve it up with some ketchup and Tabasco sauce. 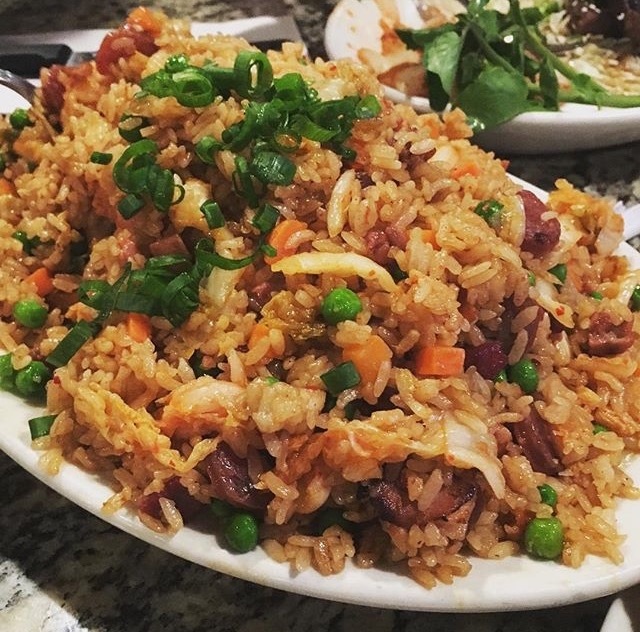 Many cultures have their version of fried rice, as does Hawaiʻi. It is more sticky than Chinese-style fried rice and uses a key ingredient, oyster sauce to give it its uniquely addictive flavor. Spam, luncheon meat, char siu and portuguese sausage are common meats thrown in, but you can make it your own and add in whatever meat and veggie you would like. 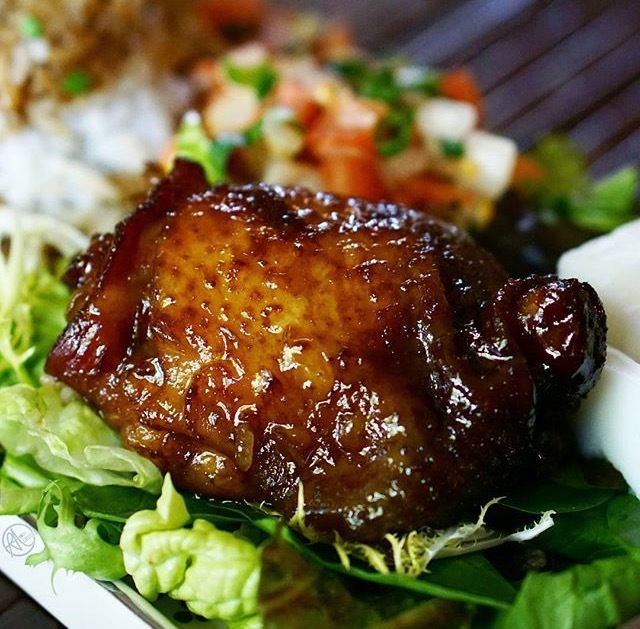 In Hawaiʻi, people say “shoyu” instead of “soy sauce.” This sweet glazed chicken is the result of the combination base of shoyu and brown sugar to create a gingery, savory sauce. The sauce itself is so good that many people like to ladle just the sauce over plain rice. Ladled over a scoop of hot rice, this is the ultimate Hawaiʻi comfort food. 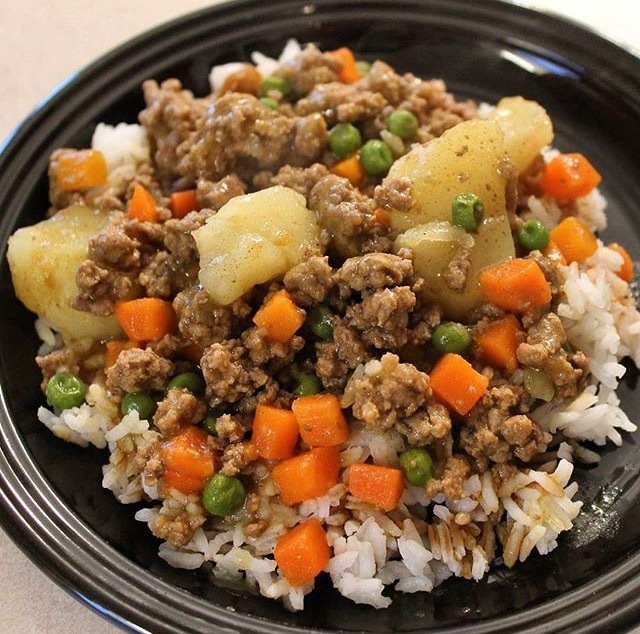 What makes beef stew in Hawaiʻi unique to that of the mainland are the smaller chunks of meat and potatoes and no addition of any type of vinegar in a tomato based gravy-like broth. 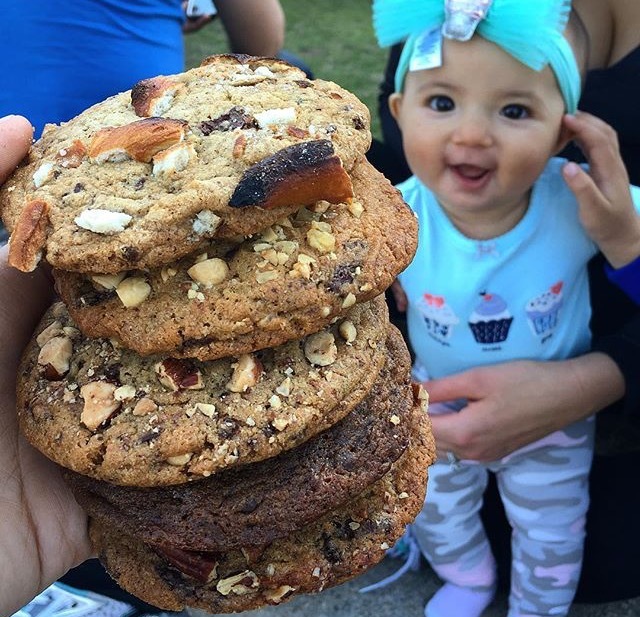 The ingredient difference is subtle but the taste is not. Find out what the goodness is all about with this recipe. 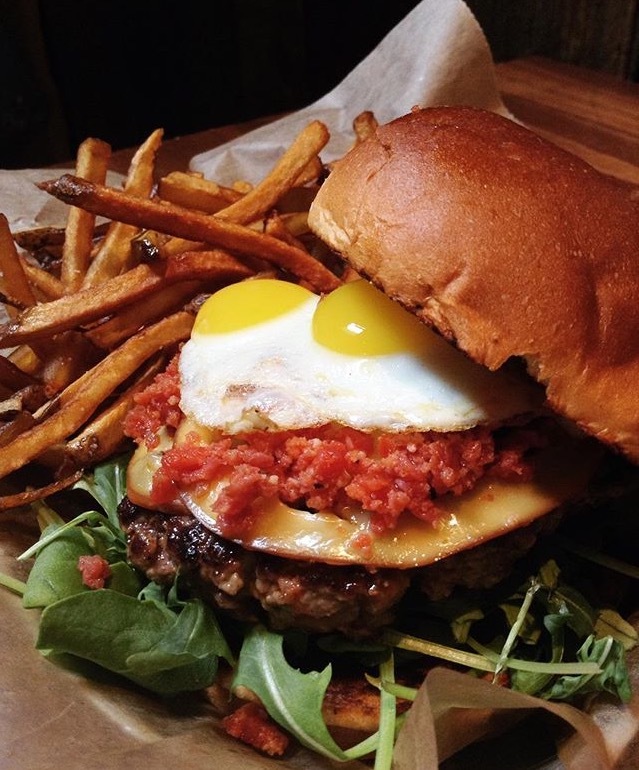 Use this recipe for the hamburger steak, this one for the gravy, throw an egg on it and chee hoo there you go. Saimin is a noodle soup unique to Hawaiʻi and is a staple while growing up. It is made up of wheat noodles and a mild shrimp based broth. Fried saimin uses the noodles and dashi (powdered Japanese soup base) and is cooked stove top rather than made into a soup. 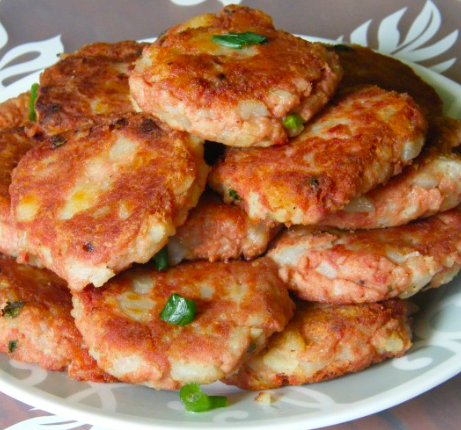 Like with fried rice, common mix ins include green onion, egg, kamaboko (fish cake), spam and char siu. 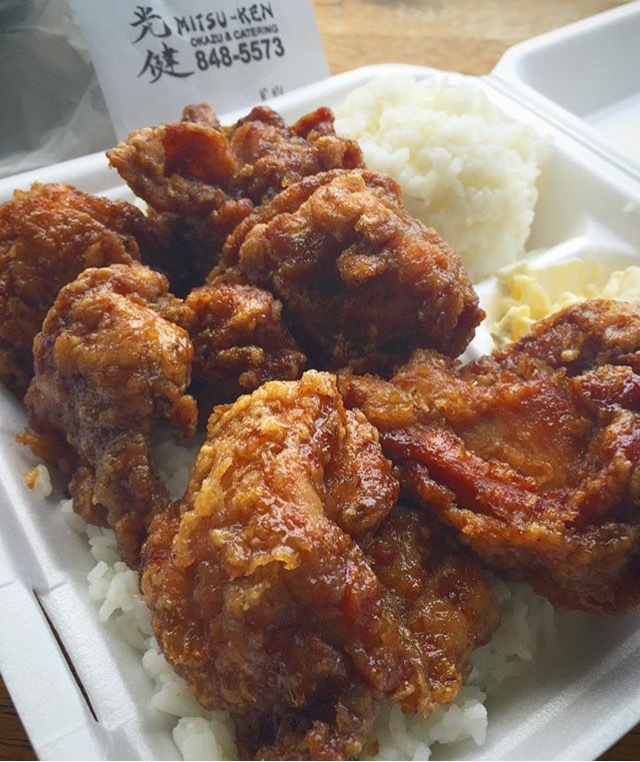 The mochiko flour and sugar make this crispy, crunchy fried chicken little nuggets sent from above. Think a sauceless (it’s so good it doesn’t need any), boneless wing, but with juicier meat and a sweet and crisp exterior. 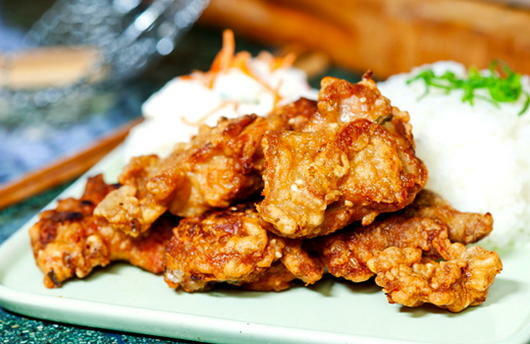 Fried chicken cutlet is popular in a variety of cultures like German Chicken Schnitzel and Italian-American Chicken Parm. Katsu is a Japanese style of breading a variety of meats (in this case chicken, or in other cases pork for tonkotsu) in panko for an amazingly crispy and crunchy bite. The local version of sweet sour spare ribs is similar to the Chinese dish Tang Cu Pai Gu. However, it has its own local flare and twist with the addition of sweet pineapple. 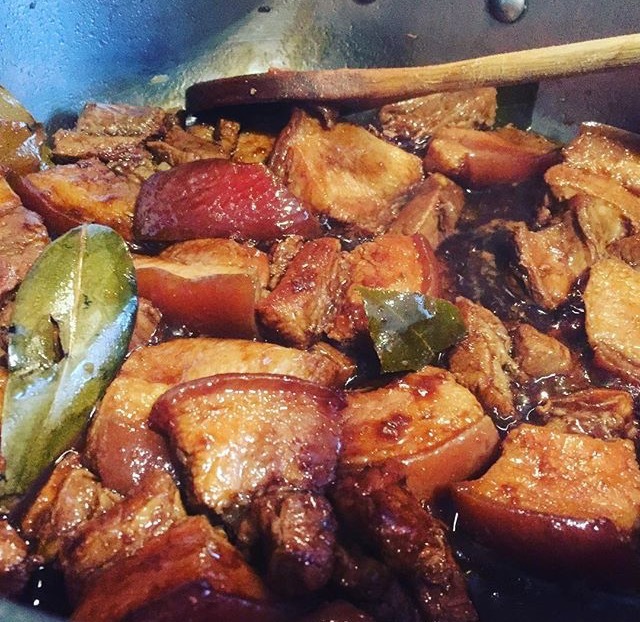 One of Hawaiʻi’s most popular Filipino dishes is adobo, commonly made with pork or chicken. The vinegar, garlic and bay leaf are what give it it’s distinct taste. What makes this Portuguese dish so delectable are the hours of simmering ham hock to achieve a deeply-flavored broth. 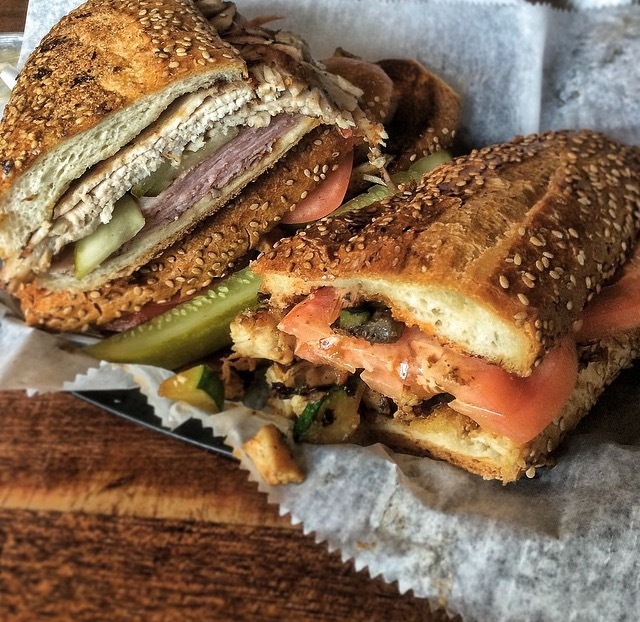 It is commonly made post-Thanksgiving dinner where no bit of ham will go to waste. 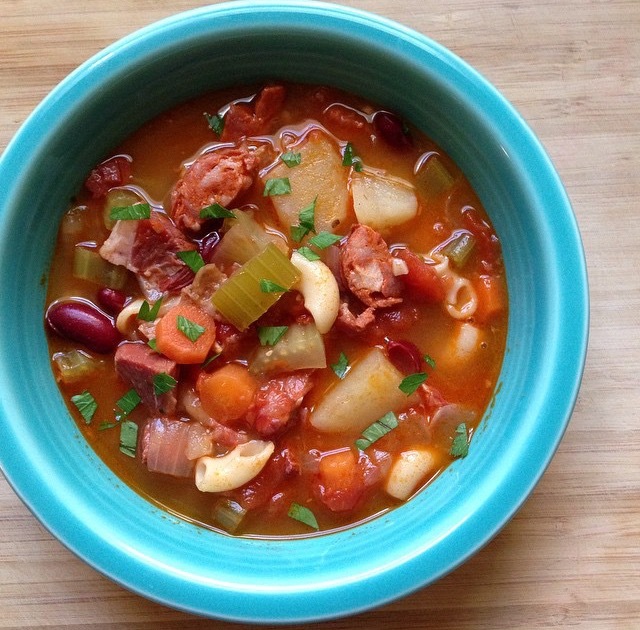 Portuguese sausage is what gives it its name, and nice hearty kick to go along with vegetables, kidney beans and macaroni. Like a taco seasoning mix, Noh Foods Hawaiʻi Beef Tomato Seasoning Mix is commonly used to achieve the perfect taste but it can easily be made without it using a recipe like this one. The tart and sweet flavors from the tomato enhances the savoriness of the beef while the mix of vegetables give it a fresh and crunchy kick. Usually, this is made with solid Japanese curry cubes that you can find at most Asian Super Markets. However, if you don’t have any on hand, curry powder will do just fine with this recipe. 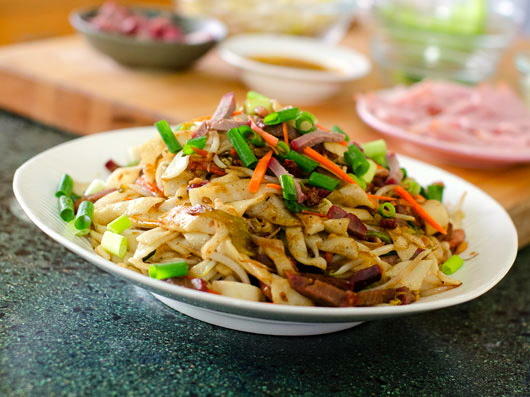 Commonly called “chop steak,” this dish incorporates a healthy portion of both sliced chopped up beef (hence the name chop steak) and vegetables. After a quick 20 minute marination in ginger, garlic, shoyu (same as soy sauce, remember? ), vinegar and sugar it can be thrown together in one pan in just about 20 more minutes. This local Hawaiʻi version is a lot less saucy than the Cantonese one but equally as tasty with the combination of different vegetables and meats like SPAM, luncheon meat, ham and char siu. Like most of the rest of the dishes, it can easily be made in one pan. How great right? Another dish of Filipino origin, this too packs a delicious punch. This one pot dish couldn’t get any simpler, utilizing sliced pork, frozen peas, tomato and a few unique but accessible ingredients like patis (fish sauce), pimentos and bay leaf to achieve these savory flavors. Yet again, another easy, four ingredient recipe. 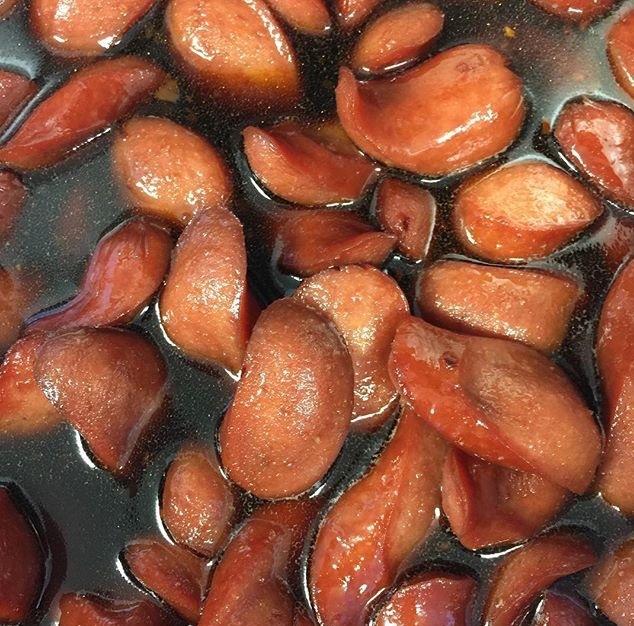 Use either red or brown hotdog (both are popular in Hawaiʻi) and simply simmer in shoyu, brown sugar and a bit of oil to achieve a pot of deliciousness that you will be able to enjoy for days. I don’t think a dish could get anymore #college than this.